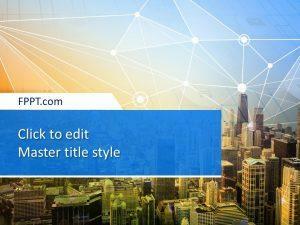 This is a Free Business Man Technology PowerPoint Template featuring a business man image in the background and a network illustration on top. Networking around the world is need of the time. 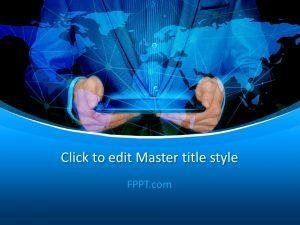 The template having the image of digital rays can be used for the presentations on communication, internet, networking. Communication among the society is an important need of life and new technologies have found out many fast and easy modes of communication. 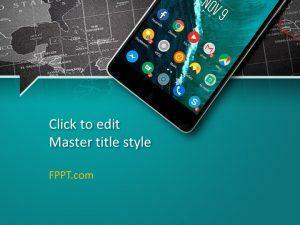 A few years ago communication was a little bit difficult but now mobile phone and fast internet technologies have introduced modern ways of communication. 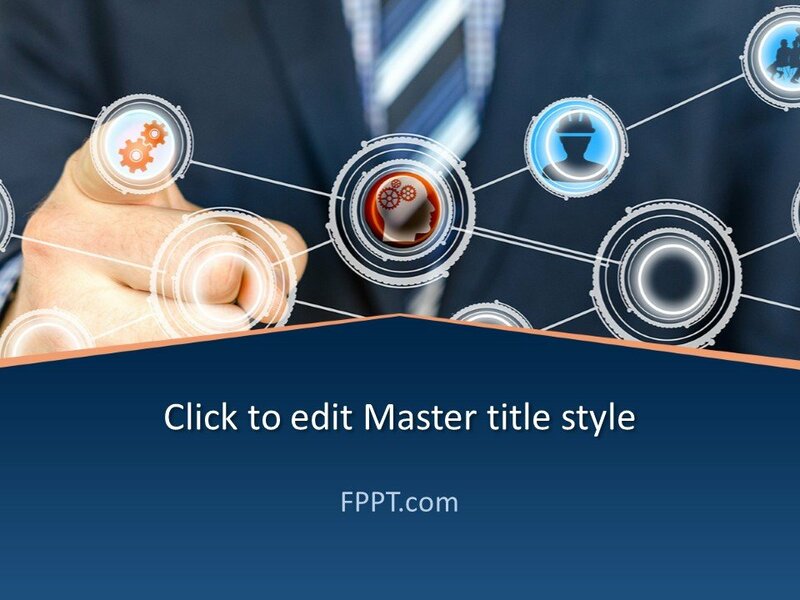 Free Business Man Technology PowerPoint Template is a wonderful description of information and its modes. 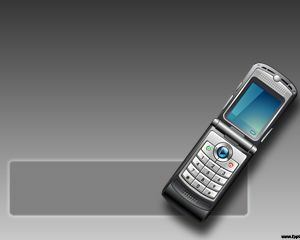 A man holding a mobile phone is showing the transmission of waves from one place to another. 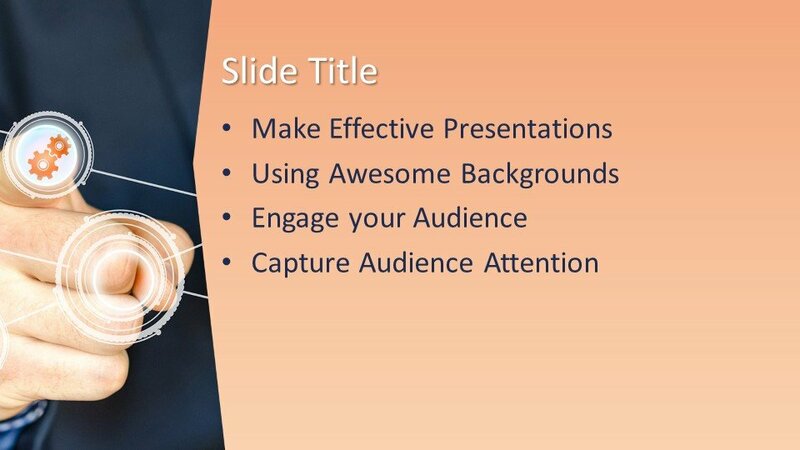 The template can be used to demonstrate the interconnection between different components in a business presentation or technology-related presentation. 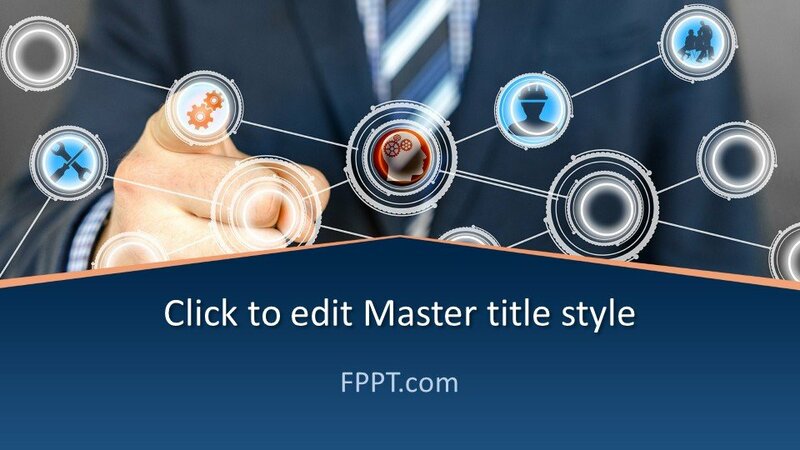 In the presentation image, the business man is indicating something with his finger and the interconnected components have different icons such as gears and avatars. Development in the field of networking has opened new horizons in the field of business and trade branches within the country and at international levels around the world. 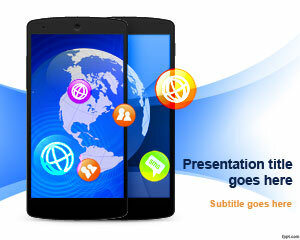 Alternatively, you can download other communication or network related presentation template designs on this website. 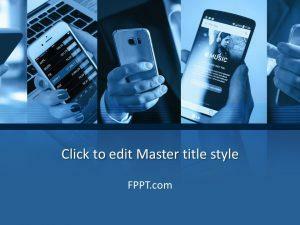 The design is totally free for you and made easy to customize. The user can customize it with a little effort to make it good for his use. Three more slide designs are also available for further progress in the presentation. 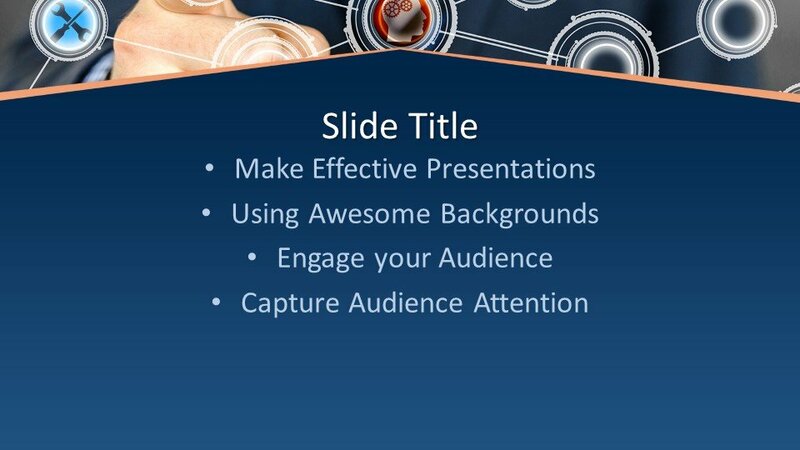 Alternatively, you can download other free technology PowerPoint backgrounds and slide designs.